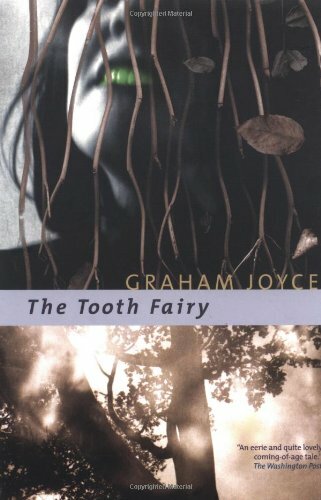 by Graham Joyce | Science Fiction & Fantasy | This book has not been rated. Sam and his friends are like any normal gang of normal young boys. Roaming wild around the outskirts of their car-factory town. Daring adults to challenge their freedom. Until the day Sam wakes to find the Tooth Fairy sitting on the edge of his bed. Not the benign figure of childhood myth, but an enigmatic presence that both torments and seduces him, changing his life forever. Received it today, thank you so much! This book looks so good, I will probably start it very soon. Sending off to BlossomU. Enjoy. Just arrived, thank you! and DreamSE22 thanks for the airmail shipping, surface would have been fine with me, thanks. Thanks for the loan, Blossom! I've enjoyed reading "The Facts of Life" by this author, so I might as well get to know his other works. with me now, am looking forward to reading this, I never tried anything from this author.